People start a side hustle for a number of reasons. They might need to make more money to pay off debt or medical expenses, save for travel, save for an upcoming life event such as marriage or a baby, or they want to pursue their dreams with their side hustle. 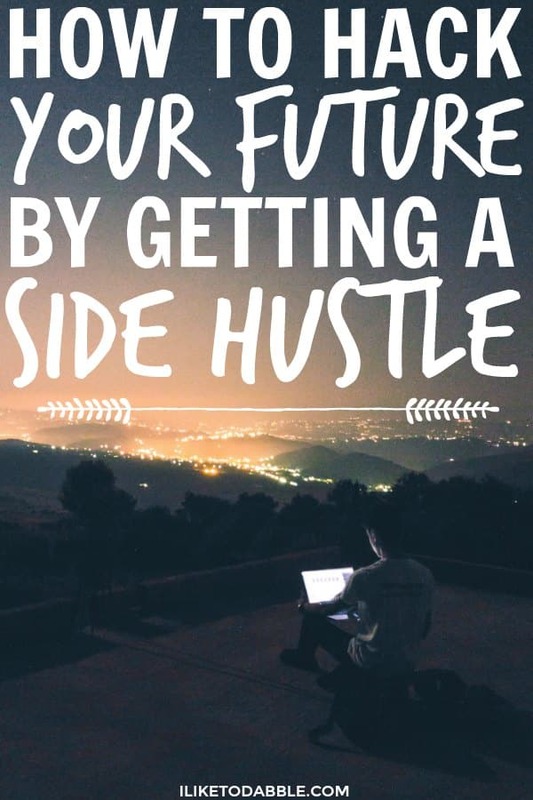 Side hustling is the new way to aggressively plan for your future while pursuing your passion. The reason everyone is jumping on the side hustle bandwagon is you don’t have to choose between a reliable income and your dreams. You aren’t strapped to one income stream. According to CNN MONEY, more than 44 million American’s have a side hustle. With how many online opportunities out there, side hustles are easier than ever to find and maintain. The ability to side hustle has given a whole new world of opportunity to many and I for one, am taking advantage of it. If you are new to iliketodabble, let me introduce myself. Hey, I’m Daniella, a 28 year old side hustling to pay off debt, live a more sustainable lifestyle, and strive for a future of financial freedom. I created iliketodabble as a side hustle in April 2017 to help others do the same. I am a software analyst by day and blogger by every other time of the day/night. I also do an array of other side hustles as discussed in my blog. I have always been a huge side hustler so being able to find a side hustle like blogging has been amazing for me. Blogging has changed my life, given me confidence, and helped with our finances. Since finding blogging as a way for me to make extra money while writing about the things I love, I am about 1 month away from finally paying off my student loans. We even had the pleasure of taking 4 trips, built our savings, and finally got organized with our money. That is after a year of starting this blog! Don’t forget to join the FREE Iliketodabble Save & Side Hustle Facebook Group for people who want to save more, make more, travel more and most importantly, live more. I never thought about the link between side hustles and entrepreneurship before but in truth, it is how many entrepreneurs come to be. I never thought I would be an entrepreneur and I regret not thinking of it sooner. When I turned to blogging as a side hustle, I didn’t think it would be something that I would make that much with nor have for very long. Side hustling is pretty easy to start. You just have to know what you want to do for a side hustle, how demanding you want it to be, and what is your availability. If you are more of a people person, apply as a weekend bartender or server. If you are an introvert like me, turn to the internet. There are TONS of jobs that can be done remotely online such as transcription jobs, freelance work, blogging, vlogging, sponsored posting on social media, ad work on Facebook, affiliate marketing, photography, copy writing, medical coding, web development, I.T. work, telecommuting, phone support, online chat and many more. You can apply for these or sign up for part time/ freelance work. Remember to stay flexible, organized and to not sign up for too much that you can’t handle. These are not for everyone, it depends on your training and availability. How much are you willing to commit? It all depends on what you want to do and what you love to do for side work. 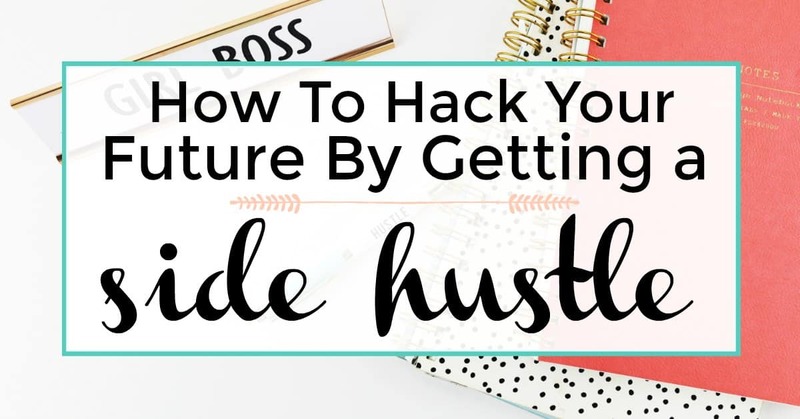 Have a specific skill you can market as a side hustle? You can sign up as a freelancer on sites such as Fiverr or Upwork. You can also become a freelance writer by submitting articles to large publications for paid work. If you are in I.T. there are tons of remote opportunities on sites like Indeed, Glassdoor and Monster for part time IT professionals. If you are the best of both worlds of freelance writing and I.T. like I am, start your own blog and make money off of ads, affiliate marketing, selling courses and products and sponsored posting for brands and companies. Or try marketing yourself as a Virtual Assistant and help others online succeed on social media or with their SEO, or just their general business needs. You can also look for a second online job that you already qualify for. Remember that old saying, there’s an app for that!? Well there is no better saying than that one for side hustles. There are tons of apps now specifically for side hustling such as Uber, Lyft and Airbnb. And some of the newer ones including TaskRabbit and FatLama. You can even make a side hustle out of the stuff you already own. Sell your old stuff on apps like eBay, Amazon or Poshmark. Side hustle your heart out. The thing with side hustles is that it is hard to have only one. At least I found it hard to have one. That is mostly because of the content I share on my blog, I have to try a lot of side hustles in order to be able to write about them. I suggest only focusing on 1 or two side hustles. You don’t want to bite off more than you can chew! Sit down and think of some skills you already have. Now think of some good side hustle ideas that you enjoy and that you can utilize those skills in. Brainstorm by just jotting down anything that comes to mind. Now circle your top 3 favorites. Research online how others have been able to pull of the same side hustle or similar ones. Read their experiences, their successes and their failures and start to map out your plan. Most of your plan will change and adapt to the ever changing tides of any field, and that’s okay. Sell designs online: Creative Market is one of my favorites if you are a graphic designer. On Creative Market, you can easily open a shop and sell your designs, vector patterns, fonts, icons, and more. The coolest thing about Creative Market is once you sign up, you get some pretty sweet freebies weekly sent straight to your inbox. Magic Ears online teacher: Teach online with Magic Ears, work remote from anywhere you want and make $26 per hour. No degree required. (Updated 12/8/2018: They now require a bachelors degree or above) This is a great option for someone who needs a reliable side income. Airbnb host: Rent out a room in your house, an entire floor, the entire house or your guest house/garage. After you sign up for the app you will get an additional $40 to use on Airbnb along with a forecast of your potential earnings (based on location) if you became a host. Airbnb is great for a passive side income. Freelance on Fiverr: Freelance out any skill on Fiverr. People make over 6 figures on Fiverr by freelancing skills out that they already have from voice over recordings to relationship advice. You really can sell ANY skill or service on Fiverr, it is kind of crazy actually. Once you get into the swing of things with your new side hustles, be sure you know where your money is going. We use our main income for all the general expenses, monthly bills, car/house payments, utilities, pet expenses, retirement, insurance, etc. Anything left over goes into savings. In addition to that, we take every bit of our side incomes and also put that into savings (or back into the blog and our side hustles). Word to the wise: You should be able to live on your primary income and live within your means. Then anything extra should be used to invest in your future. When you have 2 or more incomes, use one for bills and expenses and save the rest. Save and invest. Not only do you want to save your money, but you also want your money to grow in order to effectively hack your future. Money Management Tip: Use a money management tool like Personal capital to track your spending. Personal Capital is one of the best 100% free finance tracking apps with no hidden fees. What makes Personal Capital so great is that it syncs your spending, saving and investing all in one place so you can say goodbye to headaches and hello to peace of mind. Most importantly, have fun with it! This is your life, you only get one. The reason I got a side hustle in the first place was to help pay off debt, still be able to still build our savings, and still be able to do the things we want to do and travel when we want to travel. We do try to live as frugally as possible but sometimes we like to spend a little money. Hey Daniella, great post, enjoyed reading it. For me, my side hustle was blogging, specifically freelance SEO writing. It saved my life because at the time I was living in Serbia and had neither job nor future, (we’re in Europe, but the economy is terrible here, almost like in the poorest African countries). And I was lucky to find a blogger from France who had a need for fresh content on a weekly basis and was willing to work with me, even though I was a quite the newbie. I tried and persisted, and it payed off.